Renault has dropped a set of images of its all-new fifth generation Renault Clio, ahead of a full reveal of the car at the Geneva motor show. The compact Clio five-door, five-seat hatchback is Renault's most popular car in Europe, and the 2019 car is the first to move onto an all-new platform built for both Renault and Nissan products. Called the CMF-B platform, expect it to underpin cars like the next generation Captur, as well as replacements for Nissan's ageing X-Trail. The Clio, which battles against compact hatchbacks like the Toyota Yaris, Suzuki's Swift and the Honda Jazz, has really upped the ante for affordable compacts, with a large 9.3-inch central multimedia screen taking pride of place in the centre console. While many controls have been digitised, it looks as if the climate controls are still manually operated - a good thing, we reckon. 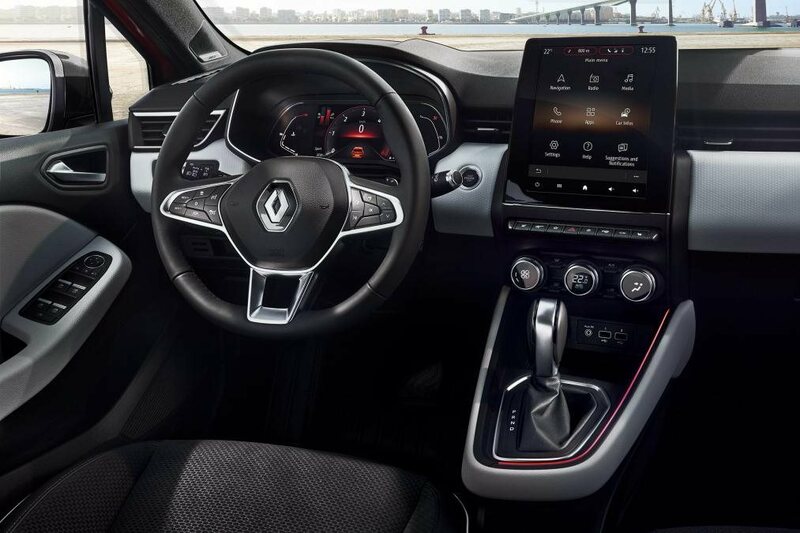 It's complemented by a digital dash that we've seen before aboard the larger Megane. It's likely to come in a couple of sizes, including this 10-inch version. As well, the car pictured offers up multiple USB ports and inductive phone charging. Mechanically, nothing's been revealed, but expected a 900cc three-cylinder petrol and a 1.3-litre petrol engines to figure in the line-up. Locally, the 0.9-litre Life kicks off at $16,990 before on-road costs. READ MORE Three-cylinder engines... why are we counting? The Geneva Motor Show kicks off on March 7.